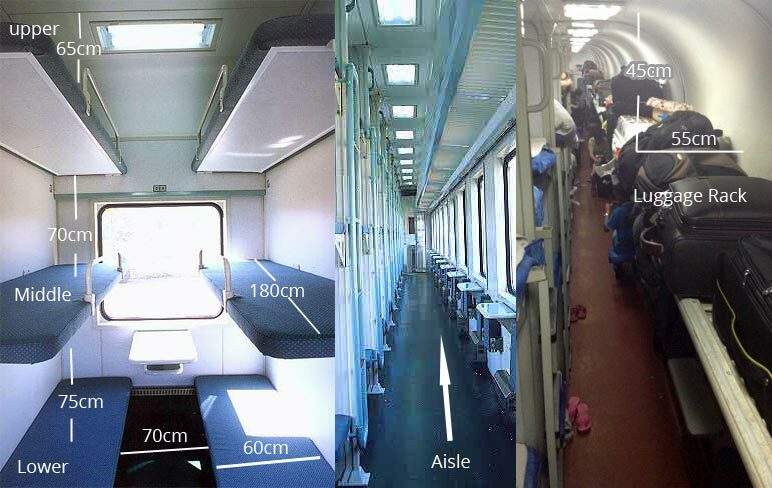 Facilities onboard, Seats Classifcation, Luggage Rack, Water, Toilet in Chinese Trains. 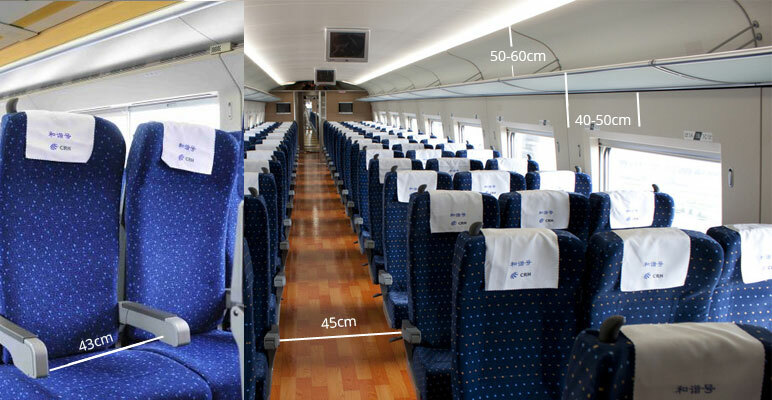 In China, trains are classified as ordinary trains (L, S, K, T and Z), high-speed trains and bullet trains. Trains can have different facilities. Facilities on Z and T trains are better than those on L, S, K trains, while high speed trains and bullet trains have the best facilities. 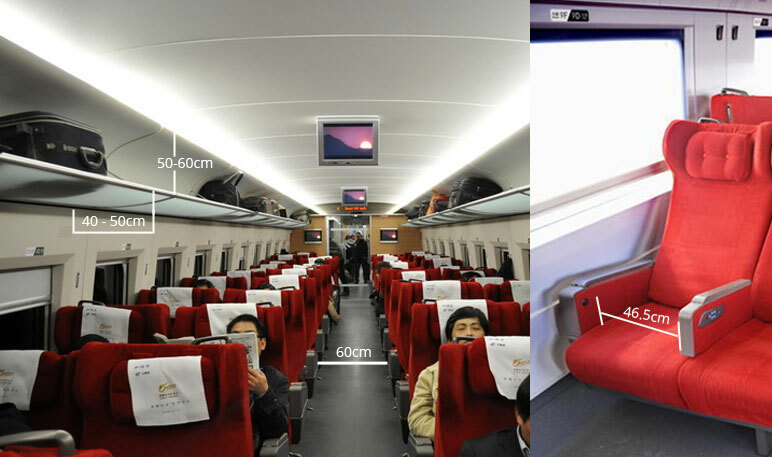 Conditions on a train in China are very different from those in Europe. 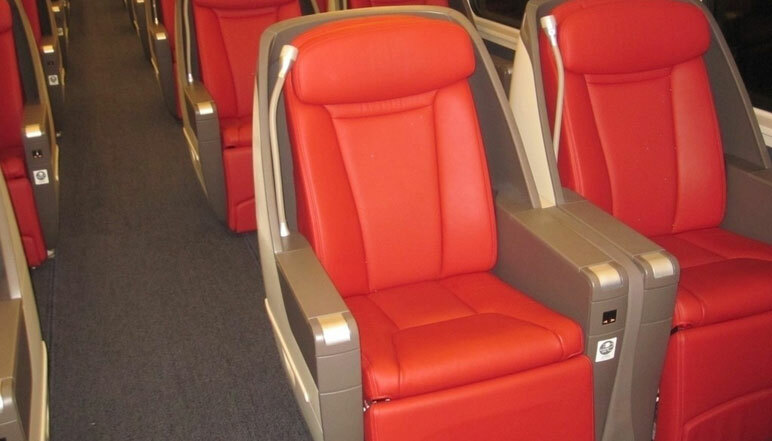 For G trains (high speed train) and D trains (bullet train), there are business seats (best but most luxurious and expensive three seats in a row, 2+1, fully reclining seats, TV and power outlet), superior seats (in only few high speed trains and only 16 seats, reclining seats, three seats in two rows with 2+1, spacious and comfortable, special area and window for view, offering free tea and desert), first class seats (4 seats in two 2 rows and 2 seats in each row, equipped with pillow and footrest) and second class seats (5 seats in 2 rows with 2+3, power outlet). Some D trains offer soft sleepers (4 sleepers in a berth) and standing tickets. For Z trains (non-stop trains, only between some cities), there are luxury soft sleepers (2 sleepers in a berth), soft sleepers (4 sleepers in a berth), hard sleepers (6 sleepers in a berth). This train is faster than other ordinary trains with less stops. 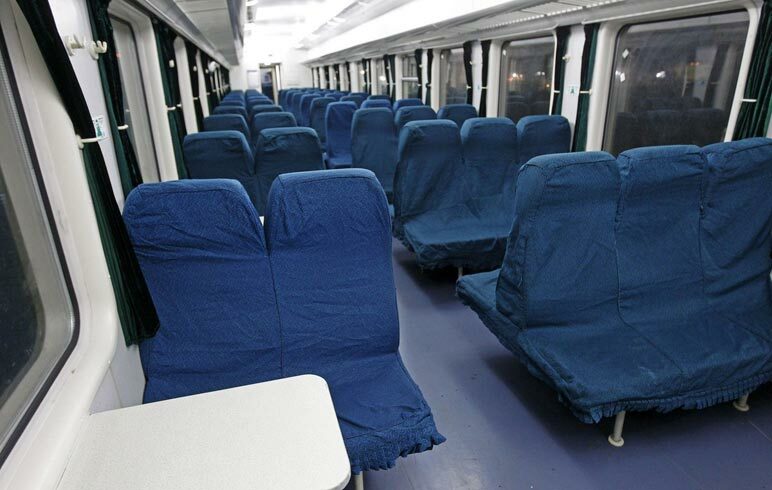 For T trains, there are luxury soft sleepers (2 sleepers in a berth), soft sleepers (4 sleepers in a berth), hard sleepers (6 sleepers in a berth), hard seats, and standing tickets. This train is faster than a Z train with more stops. For K trains, there are soft sleepers (4 sleepers in a berth), hard sleepers (6 sleepers in a berth), hard seats, and standing tickets. This train is faster than a T train with more stops. Other trains, are very slow, old, crowded, more noisy, more stops, with some soft sleepers (4 sleepers in a berth), hard sleepers (6 sleepers in a berth), hard seats, and standing tickets. We do not recommend taking this kind of train. All the seats in high speed trains and bullet trains can recline, while those in ordinary trains are not. Tips: Take care if you choose to eat in the dining carriage of ordinary trains as sanitation and food storage is not always reliable. The food is more reliable in a high speed train or a bullet train. All the tap water in China is undrinkable. Trains offers water heaters at the end of each carriage. The water is boiled when the red light changes to green. Wait for the green light to get your water. You need your own cup as there are no disposable cups offered on a train. A thermos is offered in sleeper compartments. Usually, the toilet is where two carriages connect.. A red sign on the door means that it is occupied. When a train is arriving at a station all the toilets are closed. 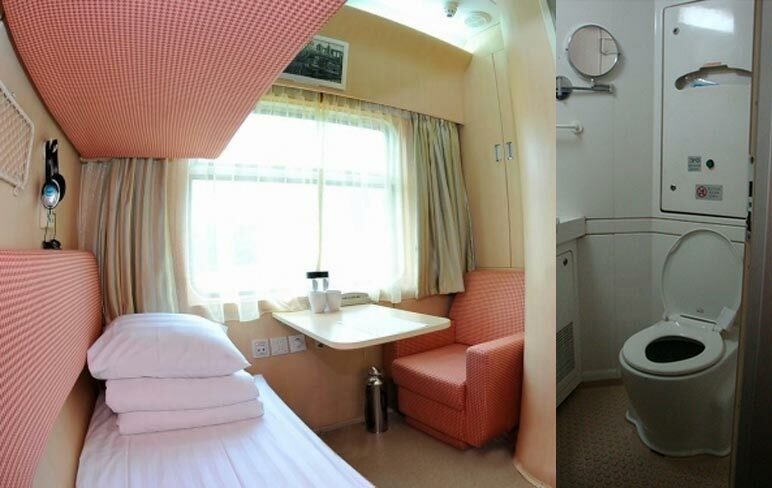 Squat toilets are used in ordinary trains, while seated toilets are offered on high speed/bullet/inter-city trains. Toilet paper is not provided on the train. Take your own. The toilets are used by many people on the train and can sometimes be smelly. Power is available on K, T, Z, D, G trains. 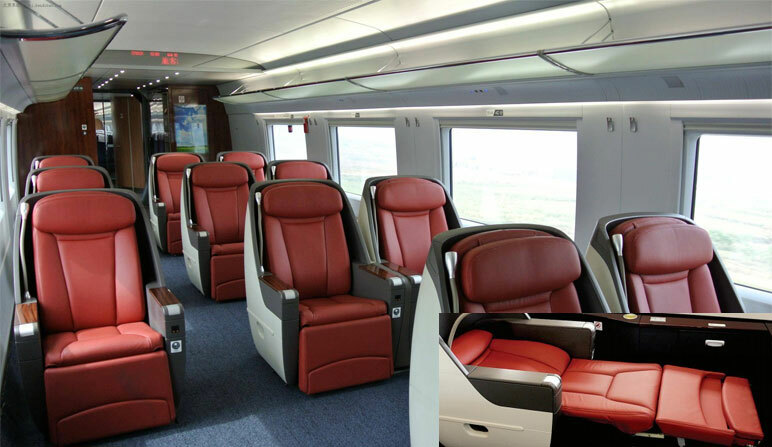 There are some sockets at the two sides of a carriage in some old bullet trains or high speed trains and some sockets under the seats in new bullet and high speed trains. 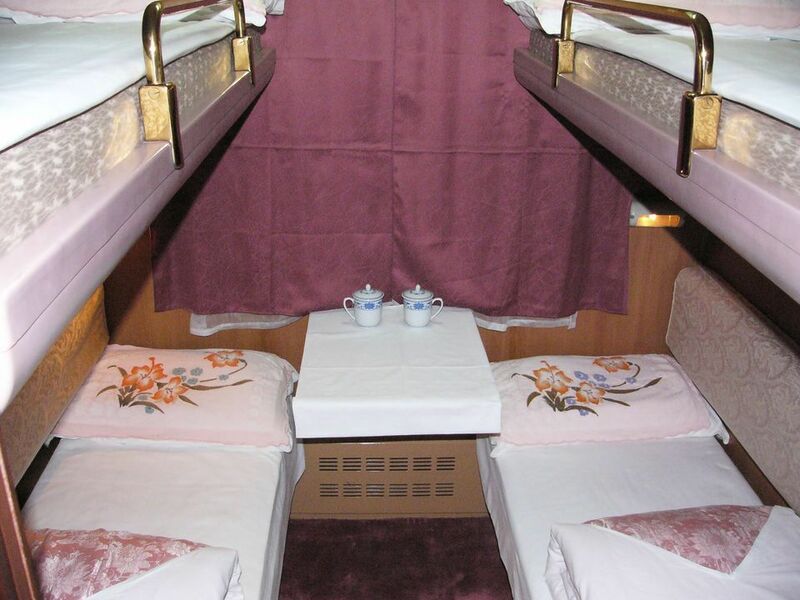 In soft sleeper compartments sockets are available, but not available in hard seat carriages. 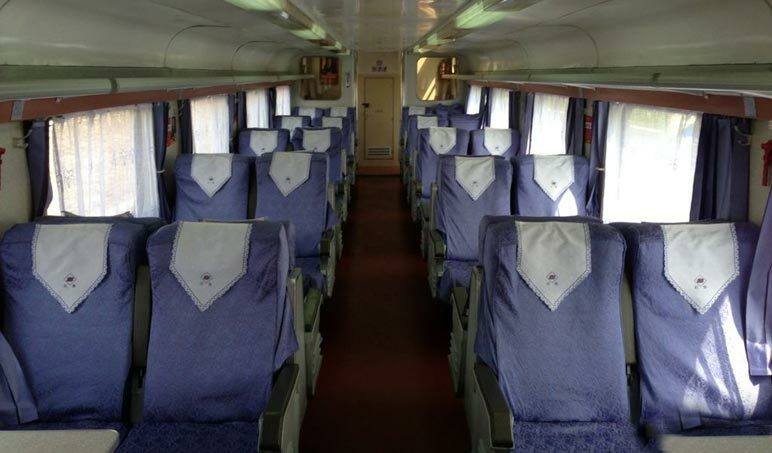 From hard seat carriages, you can go to the conductor’s cubicle to recharge your phone or laptop. Please note that you may need bring an adaptor because the electricity is 240V and the socket might be different from your country. A simple washbasin is provided at each side of a carriage, only cold water available, undrinkable. Please note that the water pressure is low and the basin is not very clean. You can avoid the busy time in the morning from 7-9am or evening from 6-9pm. It is forbidden to smoke in a bullet train-D train, high speed train – G train or a Z train, but it is allowed to smoke in a special area in other trains. The special area is at the two connection carriages. There is no access to internet on any type of trains at present. Even telephone signal is poor when riding in mountainous regions or in tunnels.